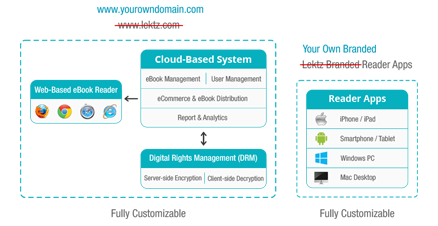 Lektz platform is delivered as a SaaS (Software-as-a-Service) model. It’s a hosted model. .You don't have to invest in hardware and software licenses or worry about installation, security updates and backups. To make it simple, our clients do not have to purchase software, hardware, or third party hosting. The Lektz SaaS platform provides everything in one turn-key service. 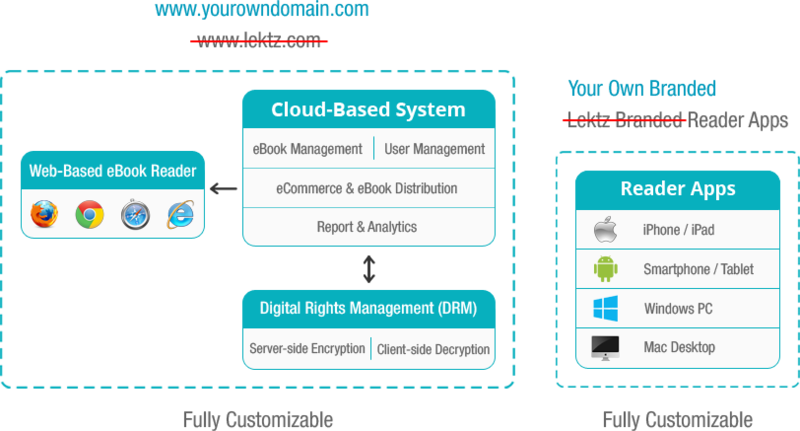 Just signup at Lektz and setup your own branded eBook store with your own Payment Gateway to sell/distribute your eBooks with DRM. Your customers can access your eBooks using Lektz branded eBook reader apps. It’s a ‘Pay as you Go’ pricing model based on Monthly Subscription, which starts from USD 100 per month. It also offers Free Edition. Lektz platform is also delivered as BaaS (Backend-as-a-Service) model. Again, it’s a hosted model. 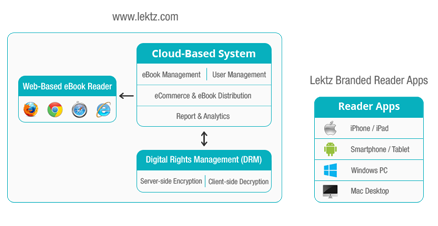 Just signup at Lektz and setup your own branded eBook store with your own payment gateway to sell/distribute your eBooks with DRM. Your customers can access your eBooks using your own branded apps instead of Lektz branded apps. You can submit the reader apps on your company name to Apple Store and Google Play. It’s a ‘Pay as you Go’ pricing model based on Monthly Subscription, which starts from USD 150 per month. Lektz platform can be delivered as On-Premise model. It is a fully customizable solution, which can be integrated with your existing or new website and hosted in your own servers. 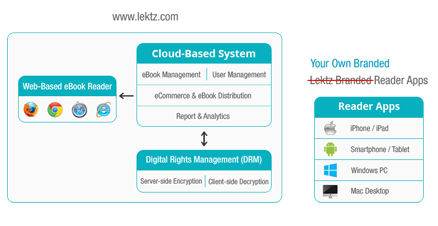 Since the whole system including the Cloud-based Backend System, DRM and Web-based eBook Reader will be hosted in your own servers, you'll have complete control of your business. Your customers can purchase/subscribe your ebooks from your website and access them using your own branded apps. Its pricing model is based on Perpetual License (One-time fee), which starts from USD 20,000. If needed, Annual Maintenance and Support can be opted.